Bishop James A. Kelly gave his life to Christ in October of 1969. Afterwards, he served faithfully as a deacon at the Mount Carmel Holy Church of God until he left that ministry to aid his wife, Apostle Bennie L. Kelly in establishing Miracle Temple Holy Deliverance Church of God. Bishop Kelly worked to foster ministry growth through his prayers, support and labor of love. He served as the church’s first deacon and treasurer as well as the Sunday Bible School superintendent for over fifteen years. Heeding to the will of God, Bishop Kelly preached his first sermon in February of 1996. He has a deliverance ministry, preaching with an anointing that destroys the yoke of the enemy. Bishop Kelly is a special person. He is patient, kind and full of Godly wisdom. Because of this, he is lovingly called “Daddy” by many. He exemplifies a Godly father, always willing to listen and give Godly instruction and support. His greatest love in ministry is the Men’s Fellowship Ministry. Within this ministry, Bishop Kelly has established a “Band of Brothers”, fostering accountability and standards of holiness among the men of God. Bishop Kelly works closely with these men, offering advice and support as well as a godly example. 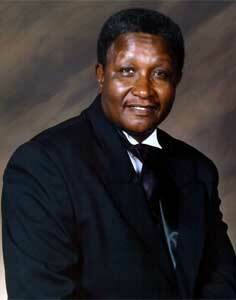 Bishop Kelly currently serves as the co-pastor of the Christian Family Worship Holy Deliverance Church of God. Additionally, he serves as a member of the ministerial staff and the Board of Directors for the Miracle Temple Church. He continues to serve as the church treasurer, as he has for the past twenty-three years. Bishop Kelly’s work in the ministry is greatly appreciated and he is greatly loved by all. He has truly been a partner in spreading the Gospel.